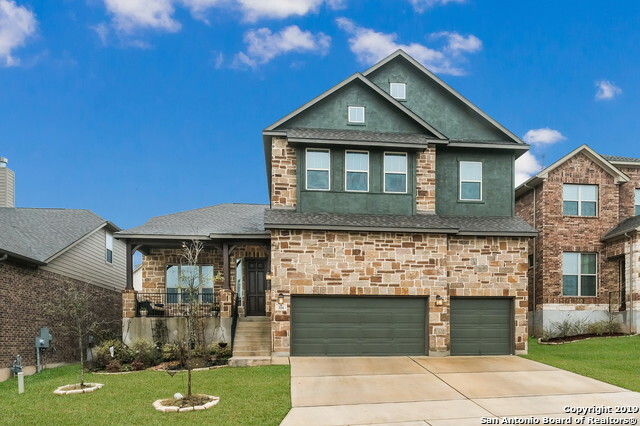 All CANYON VIEW homes currently listed for sale in San Antonio as of 04/24/2019 are shown below. You can change the search criteria at any time by pressing the 'Change Search' button below. "Incredibly clean and well maintained 2-story 5 bedroom home located in the heart of Stone Oak, within the spectacular community of Canyon View. Upon entrance of this home you will be greeted by natural lighting as you walk through the main level open floor plan. There is Plenty of room for a growing family and guests, great for family gatherings, holidays, and festivities. This home is definitely unique because of it's spaciousness, location, nearby schools, grocery stores, shops, & restaurants." "New 35 year dimensional roof shingles & new water heater! Spacious 4 bedroom, 2.5 bath home, recently updated. Kitchen has granite counters, large island, new cabinets, new dishwasher, new smooth surface range & built in microwave. Huge walk in pantry! Huge master bedroom! Granite counters in bathrooms, with dual vanities at master. Located in north central San Antonio, easy access to Randolph AFB, 281, 1604, shopping, dining & entertainment. 1 yr One Guard Home Warranty included! One Guard Cer"